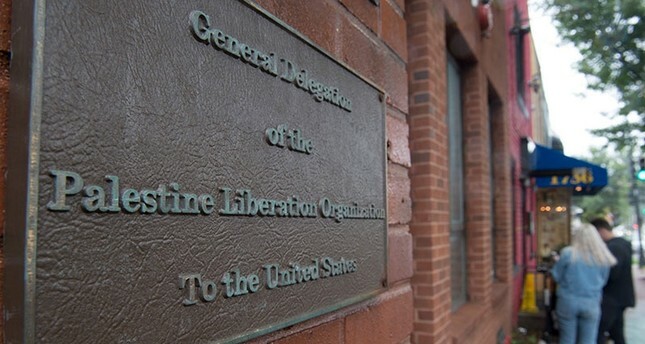 The Palestinian Authority says it will not abandon its principles following the Trump administration's to close the Palestine Liberation Organization (PLO)'s office in Washington, a move which analysts say disqualifies the U.S. as a legitimate broker of peace in the region. The spokesman for Palestinian President Mahmoud Abbas, Nabil Abu Rdeneh, said the Palestinian Authority will maintain its "commitment to the resolutions of international legitimacy," according to a written statement released Monday. Rdeneh says key issues, including the status of Palestinian refugees, "are more important than the relationship with the United States." The Palestinian envoy to Washington said Tuesday his staffers have been given a month to pack up. "While today is a dark day for peace in the Middle East, for multilateralism, and the integrity of the international political and legal system, we will continue our struggle to pursue all possible legal and political means to achieve peace, independence and our internationally enshrined rights," Husam Zomlot, the PLO's U.S. representative, said in response to the closure. He said, "We lost the U.S. administration but we gained our national rights." The U.S. decision to shutter the PLO mission in Washington has drawn condemnation from other governments and from political analysts who say the move will undermine the Middle East peace process. Turkey's Foreign Ministry said Tuesday that the action is "another display of U.S. losing impartiality on Middle East peace process." Qatar's Foreign Ministry condemned the decision, issuing a written statement that said the move would reinforce Israel's uncompromising attitude and encourage it to continue practices deemed unacceptable by the international community. Analysts have warned that the decision seriously jeopardizes the already-stalling peace process between Israel and Palestine, which has undergone a serious of blows since U.S. President Donald Trump took office in January 2017. "It's ill-timed, it's unwise, and instead of isolating the Palestinian side, I have a feeling that it's actually isolating the United States of America, and it's definitely disqualifying the United States in the future from mediating any peace efforts in the region," Khalil Jahshan, executive director of the Arab Center in Washington, told Anadolu Agency. The Trump administration recently announced it was cutting more than $200 million in economic aid to Palestine. Last December, the U.S. recognized Jerusalem as the capital of Israel, moving its embassy there from Tel Aviv in the spring – a decision that was an affront to the Palestinian dream of East Jerusalem being the capital for its own state. "The (Trump administration) has changed the parameters of how the Israeli-Palestinian conflict has been dealt with in recent years," Ian Black, a visiting senior fellow at London School of Economics's Middle East Centre told Al Jazeera. Black said the decision to close the PLO office weakens mechanisms that might produce settlements for the ongoing violent conflict and the question of a two-state solution. "It is worth pointing that the Palestinian leader, Mahmoud Abbas, is more likely than any other to come to some kind of two-state solution with Israel," Black said. "But he has been pushed to react furiously to American moves. (There will) no longer be a fair mediator in the conflict. Abbas has been pushed beyond limits on this," he added. In the short term, the decision could spark violence and instability. "Everyone remembers the split screen of the beautifully orchestrated ceremony at the embassy opening and the 60 people shot dead in Gaza," Black said. Others have called the decision – which may have been intended to pressure Palestinian leadership to accept a forthcoming peace deal – foolish. "Shutting the office is denying (Palestinians') self-determination, denying them as people," President of the Arab American Institute James Zogby told Al Jazeera. "It's more far-reaching decision than closing an office down. We are back to the period of 'no such thing as Palestinians' mindset," he said. "The PLO did not create the Palestinian movement – it embodies the national movement. If Palestinians agree to whatever is offered - which seems to be wholly inadequate, they will no longer be in leadership," Zogby added. The move also raises questions about how citizens of Palestine will access consular services. Zogby suggested a PLO official could offer services from another Arab country's mission, which was the case before the PLO had an official office in Washington.